In old-time Scottish lore, “Highlanders” were known as the rugged people of the hills, known for their unrelenting toughness and strength in any situation. 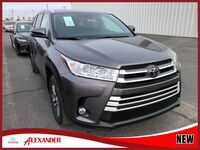 It’s safe to say that even after all these years, some things never really change, as the Toyota Highlander SUV carries all these qualities and more. 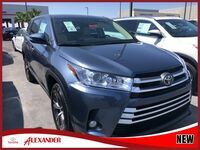 It brings stellar V6 power, a quiet ride, and high-tech innovation to the table, all in a package that’s as beautiful as it is versatile. Perhaps the best part about this is that it’s available right here in Yuma AZ! 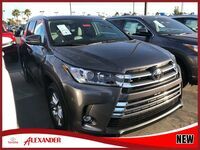 Our Alexander Toyota team is so proud to be able to provide the great residents of Yuma with the high-performing, well-constructed Toyota vehicles that they desire. 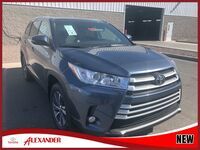 We’ve put some information together on the all-new 2019 Highlander, and there’s a lot to love with the current iteration of this iconic SUV. Check it out with us today! 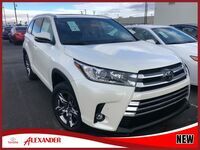 If there’s anything else you want to know about the 2019 Highlander, or if you want to get inside for a test drive or sign off on a financing deal, we’re happy to accommodate. 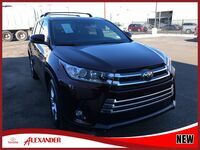 Be sure to get in touch with our Alexander Toyota sales team today, and we can help you with anything you need!